Over 1,000 Exotic Birds on Display! The #1 place for your pets' needs! When you come to For Birds Only you automatically know that we love birds. We provide our birds as well as yours with the utmost attention and care. 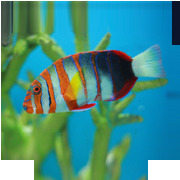 We have a large selection of Salt and Fresh Water Tropical Fish. Come see our selection of small animals! To find out what we have, please give us a call.